Some bands seem to take years to find their sound. These bands navigate frustratingly from album to album searching for some kind of true identity. After releasing records that hop from pop simplicity to experimental complexity (or vice versa), the band lands on a sound that, for them, is sophisticated and perfect—songs they wish they could have written from the start. This process, though sometimes exciting, often leaves listeners unsatisfied with the eventual outcome, which can lack the sulfuric spark that drew them to the band in the first place. Perhaps this is what makes Long Island, NY’s State Lines so remarkably refreshing and exciting. State Lines began in October 2010 when lead singer/songwriter Jonathan (JD) Dimitri recorded a six-song demo on an 8-track recorder in his basement. Soon accompanied by Tom Werring (guitar, vocals) and Johnny Wims (bass) the band recorded what would become their official debut in May of 2011. 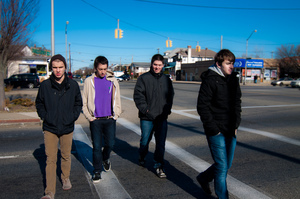 Shortly after, Teddy Sahr (drums) completed the quartet and Hoffman Manor was released. Creating a steady word-of-mouth Hoffman Manor garnered some impressive praise for the young band and it is easy to see why. With State Lines you have got a dynamic vocalist and lyricist in Dimitri and a band that seems comfortable at any tempo truly letting the songs flow on a natural course. Blurring the line between melancholy and optimism, Hoffman Manor mirrored the confusion of youth and frustration of growing up. In some ways, the band fits seamlessly into this archetype; Hoffman Manor is youthful and raw, full of murmuring, muscular chords accented by both glimmering guitars and the crisp snap of a snare drum. Johnathan Dimitri's voice cracks as he veers from note to note, his lyrics ranging from heart-wrenching (“Cancer”) to inspiring (“My Friends”). 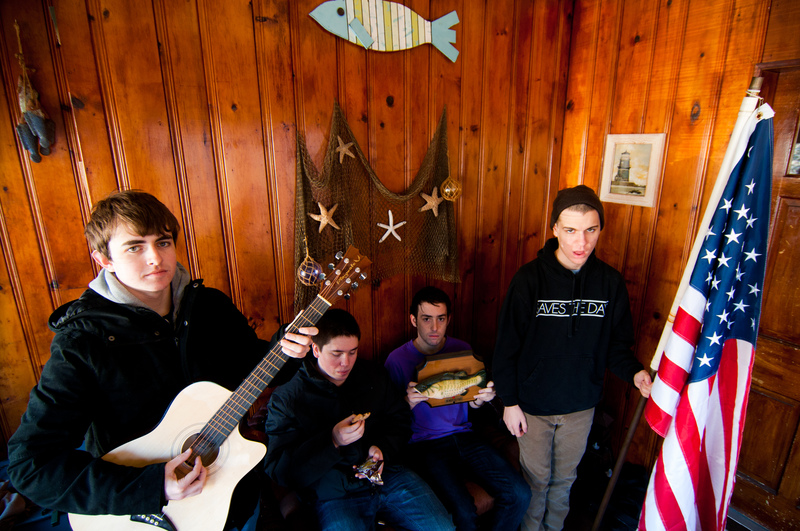 Despite the deceivingly lo-fi recording, State Lines' debut should be shelved alongside other head-turning and urgent debuts by East Coast pop-punk bands, like Saves The Day's Can't Slow Down or Brand New's Your New Favorite Weapon. On Hoffman Manor you knew State Lines was close. 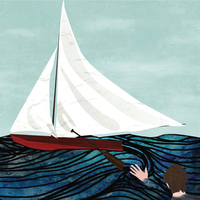 With the band's new Self-Titled EP, released by Tiny Engines in April of 2012, the band has arrived. Recorded this winter with Sainthood Reps' Bradley Cordaro, these four songs brim with confidence and overflow with punk energy while playfully pulling at those pop heartstrings we all possess. But while State Lines have plenty of youthful spirit left over they bite deeper with lyrical depth. On songs like “Win Free”, Dimitri's voice is coarser, but more assured, and balanced by Tom Werring's aching harmonies. The way in which Dimitri and Werring's guitars effortlessly intertwine on this song demonstrates something more than a musical maturity. Likewise, the solidarity between Teddy Sahr's tense, tight drumming and Johnny Wims' rumbling bass on the potent opener “5's On The Elephant” reveals something more than mere musicality: It seems that State Lines has truly found its sound. Though their pop-punk forefathers are irrefutably influential, they have inspired a generation of bands that seem to steal the wrong cues and follow them towards the same predictable ends. State Lines isn't one of these bands; they've identified the spark and spirit that made their predecessors feel so initially fresh and have bottled it, choosing to express this explosive essence without following their winding, wandering path. While it is doubtful that State Lines has finished growing yet, it is refreshing they seem to know exactly where they are going. 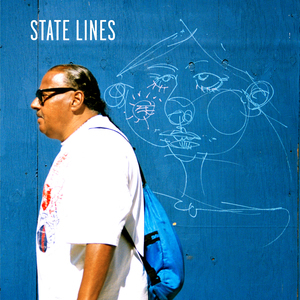 State Lines - Self-Titled 7"